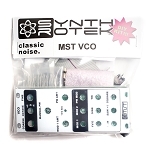 The MST Dual Envelope is a simple-to-use yet complex dual envelope generator. Channels 1 and 2 are both normalled to each other to cycle when the other respective channel hits end of cycle, allowing for really interesting ping-pong effects. Each channel also has an end-of-cycle trigger output with LED indicator. Thereís a normal and inverted envelope out. 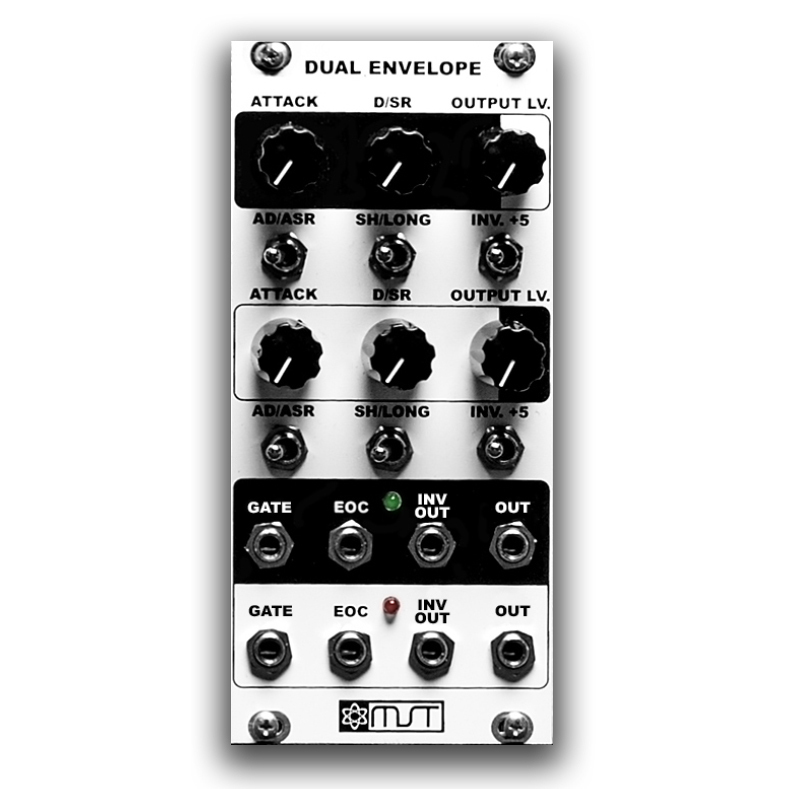 The inverted envelope out can be further modified by the +5 offset switch, which allows the inverted waveform to travel in the positive. 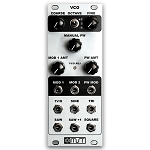 The + output level allows the envelope signal to go between zero and the maximum voltage rail. 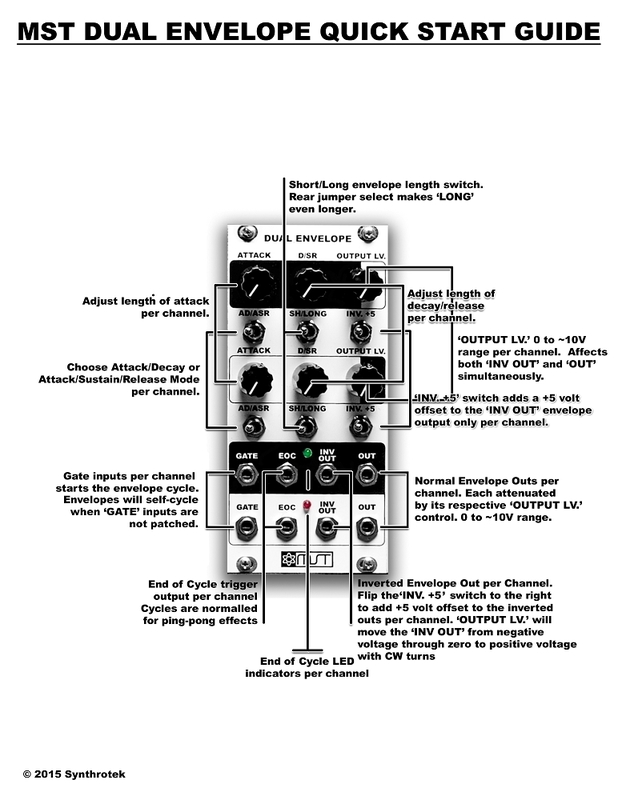 Attenuate the output level down for a more subtle envelope (adjust to taste).